The brand experience can help attract and inspire a truly engaged workforce, especially when company values and culture are creatively incorporated into the workplace. WHA’s Scott Delano contributed his perspective in a piece for Illinois Real Estate Journal, and notes that designing a client’s branded space often begins before they even move in. “Branding is a factor even when a company is deciding whether to sign a lease,” said Delano “as prospective tenants evaluate whether a building provides the right canvas for their desired workspace. Read the full piece on RE Journals. 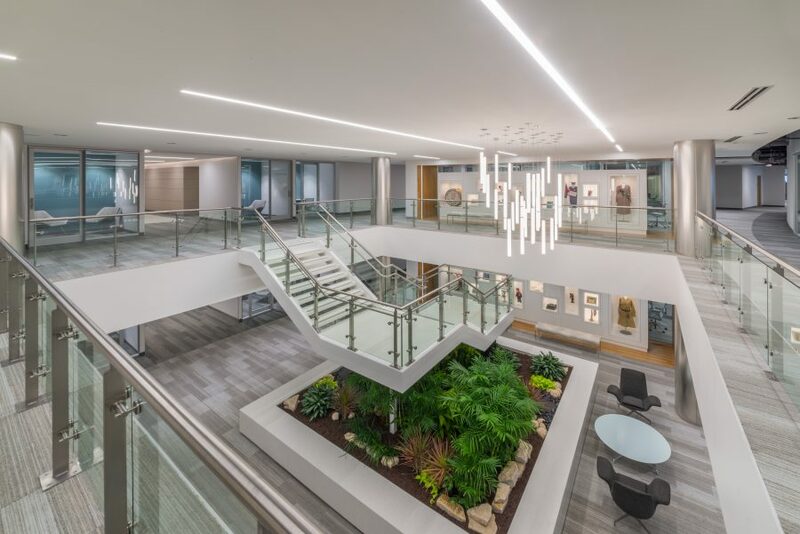 Wright Heerema Architects provided The Salvation Army with a comprehensive program and detailed design for their new, 200,000-square-foot location in Hoffman Estates, including a public chapel off the lobby that expresses the nonprofit organization’s misison. 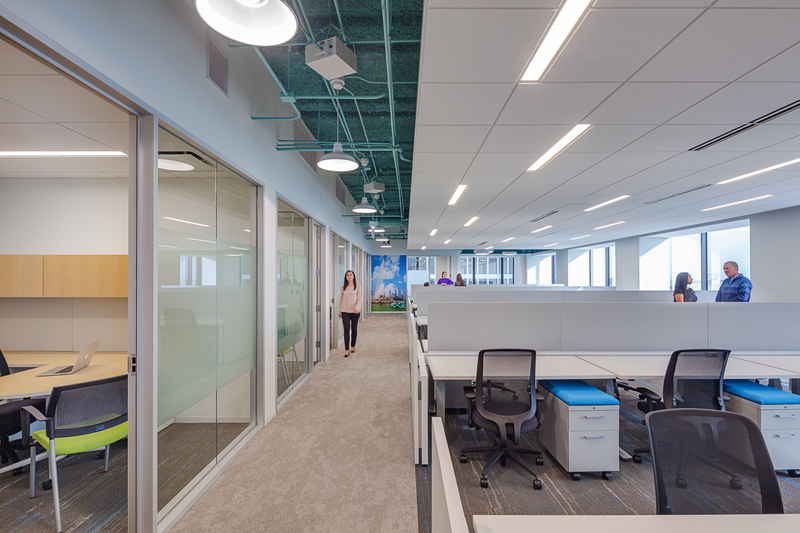 Glass partitions give offices and meeting rooms both privacy and transparency in comScore’s 14,600-square-foot space, designed by Wright Heerema Architects and opened in 2017. 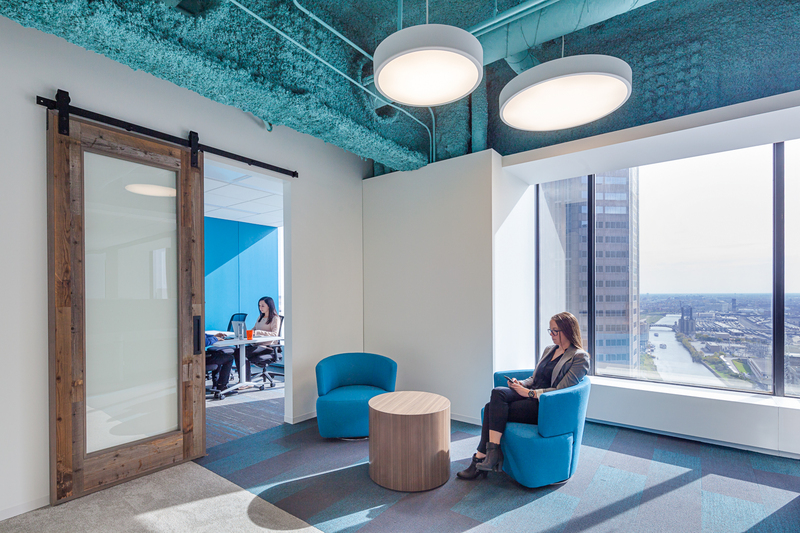 Wright Heerema Architects incorporated comScore’s vibrant brand colors into the ceiling, furniture and walls of their new Willis Tower office, ensuring that clients and employees who step inside are immersed in the brand and inspired to think innovatively.